While on our way to the BMW ‘X’perience, we saw a 330D convertible showcased for all journos present at the event. Considering BMW India does not sell the 3 Series in any other body shapes other than a four door sedan, we dug a bit deeper. 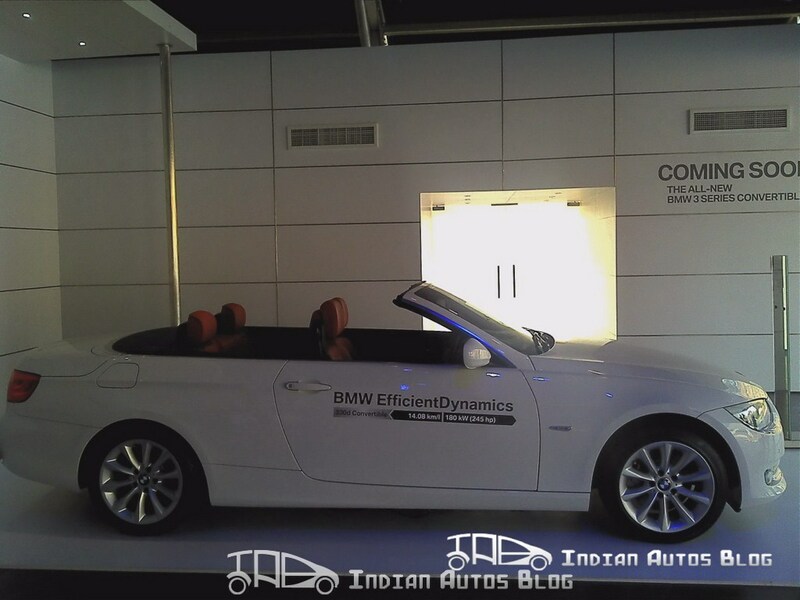 Turns out that BMW India is planning to launch the 3 Series convertible in India very soon. The model is question has a 3.0-litre, six-cylinder diesel with a single turbocharger to generate 245bhp power output and 520Nm of torque. We would get the 7 speed automatic double clutch gearbox with paddle shifters behind the steering. This power mill can hurl the convertible from 0 to 100 kmph in 7 seconds and on to a top speed of 245 km/hr. BMW is smart enough to get only the diesel convertible in India. Of course, with 2 doors and limited back seat, this is not your everyday car. But it is a perfect companion for those picture perfect days when you just want to do some wind-in-your-hair motoring. The 330d‘s roof is a three piece system and not a 2 piece one. So when the roof is folded, you can expect the 350L of boot space to shrink to just 140 liters. The operation of the roof takes around about 22 seconds which is not bad for a three piece system. 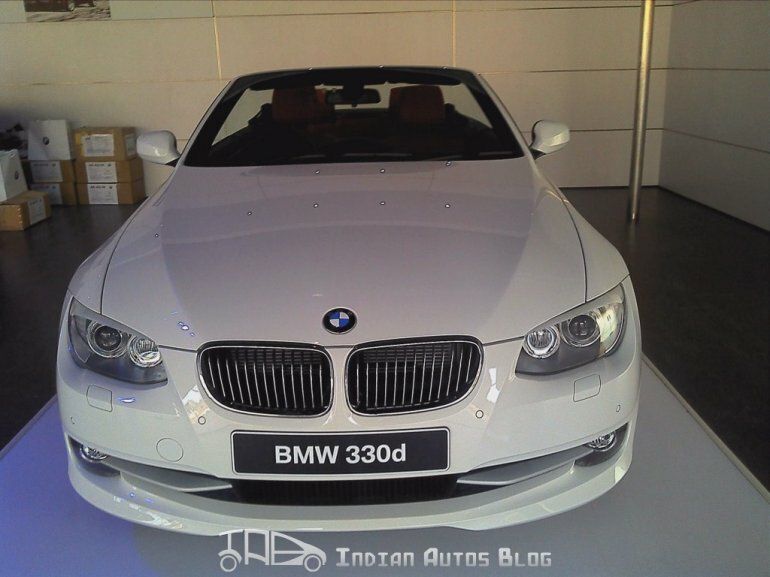 The launch of the 330d is said to happen in 2012, may be at the Delhi Auto Expo. The model will be imported as a CBU from Germany so expect the prices to be on the higher side. However, the launch will signify that BMW India is willing to experiment with different body styles of their models.